blog home Criminal Defense Which States Have the Most DUIs? Which States Have the Most DUIs? Wyoming is famous for many things, not least of which are its wide-open roads and breathtaking landscape. From Fort Laramie in the east to the Grand Tetons and Yellowstone in the west, Wyoming offers visitors and residents alike an amazing experience. But what many people don’t know is that Wyoming is also infamous for another reason: it is the most dangerous state in America in terms of DUIs. While the raw data may paint a picture that’s not truly representative of our great state, the fact remains that Wyoming may have a problem with DUIs. What Do the Statistics Say About Wyoming DUIs? Backgroundchecks.org released a report that analyzed the states with the worst DUI problems. Citing data from the Centers for Disease Control and Prevention (CDC) and Mothers Against Drunk Driving (MADD), the article indicates that Wyoming is number one overall, and number one in terms of death rate per 100,000 people. And it’s not even close. Wyoming reported a rate of 9.56 fatalities caused by drinking and driving, while Montana was in second place at 7.19. What Makes Wyoming Unique for DUIs? Many people will look at these statistics and complain that they skew the problem towards states that have lower populations. That’s not wrong. Wyoming is the least populated state in the lower 48, and the other DUI-heavy states are also among the least populated, including the Dakotas and Montana. But the stats are analyzed according to per capita fatality and arrest rates, which at least partially account for the different sizes in the states. So why do Wyomingites seemingly drink and drive so much? In many ways, it’s a deep-rooted cultural norm of the state. 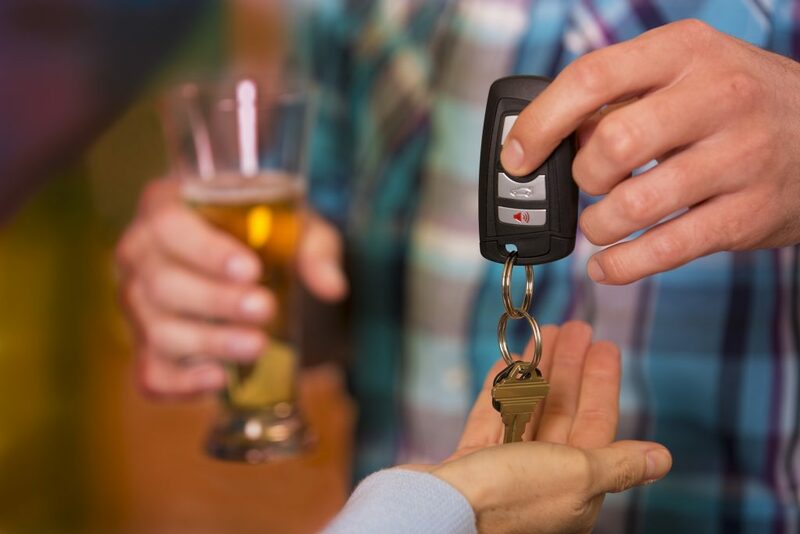 One factor is the lax attitudes towards drinking and driving among many residents. Also contributing to the epidemic is the proliferation of underage drinking, especially in communities with a large university presence. But we believe the biggest problem is the spread-out nature of metropolitan areas and the large number of rural residents, meaning that people often have to drive long distances. The low population density can give the illusion that the roads are safe. And cops are quick to pounce for anything on those lonely stretches of road. What Are the Penalties for Drinking and Driving in Wyoming? In the state of Wyoming, drivers found to have blood alcohol concentration levels of at least 0.08% can be charged with DUI. If a police officer believes he sees signs of intoxication, it’s enough to arrest a driver. Wyoming has what is known as an implied consent law, meaning that all drivers with valid licenses have consented to be chemically tested when they are behind the wheel of a motor vehicle, if asked by law enforcement. Up to 10 years in jail. A lifelong ignition interlock requirement, which is when a device is placed in your vehicle that will test your blood alcohol level before you can turn on the ignition. Every single time. For a first DUI offense, the penalties may be avoided, including jail time. Wyoming has a program known as “probation before sentencing,” which allows a person who has been convicted of a first-time DUI to immediately be entered into a one-year probation period. Upon completing an alcohol treatment program (and assuming he has not been charged with any other crimes in the meantime), the conviction will be removed from his record. If you or someone you love has been arrested or charged with DUI, don’t hesitate. One of the best things you can do is to consult an experienced Gillette DUI attorney who can explain your options and set up a tough defense on your behalf. Like our trial lawyers do at Steven Titus & Associates, P.C. Contact us today at (307) 257-7800 to schedule a free consultation.